Turn Your Garden into a Majestic Utopia: Gorgeous Shepherd Hooks with the Perfect Balance of Tradition and Versatility. Enchant the outdoors of your house with tasteful decorations and ornaments. 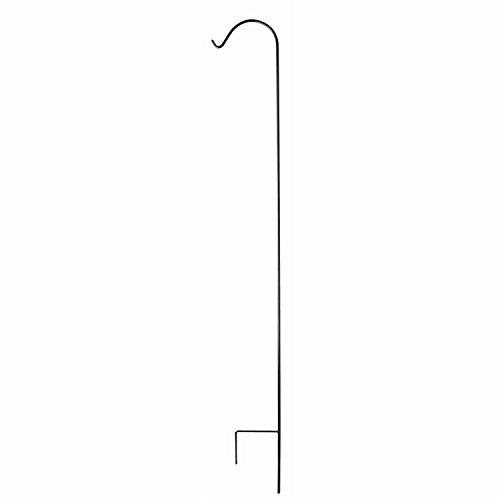 These Shepherd Hooks are tantalizing in their aesthetic value and can make anything stand out with ultimate beauty. Hang your flower pots, wind chimes, decorative lights and accented pieces, bird feeders and more! - Dexterous, sensual and rustic, these hooks bring a wondrous subtlety to your garden, refining and invigorating it with beauty reminiscent of Victorian grace.